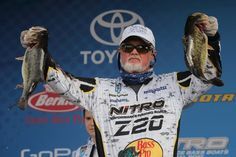 In the last few years 13 Fishing has come a long way and displayed that they are not a fad; they’re here to stay! With the success of their Concept reels, 13 Fishing is building on their success and have introduced the Omen Black line of rods. Straight out of the box the 13 Fishing Omen Black rods were surprisingly light. I was impressed with my first glance! The cork handles were also an immediate plus to me and traditionalists will really like this touch. Many rod manufacturers choose to go with EVA foam in an effort to reduce cost, but 13 Fishing has opted to keep this key feature and we like it! The Omen Black series of rods are moderately priced and will run you from $99 – $139.99 US, depending on the model. Rods directly competing in this price range have to be packed with features as well as be versatile. 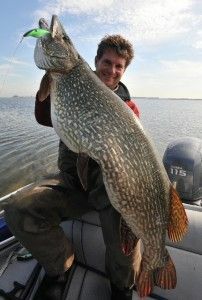 Anglers who own rods in this category are looking for something that can be used for many different presentations. 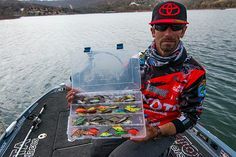 Interestingly, the 13 Fishing lineup has enough models that are technique-specific, so an intermediate angler could choose to fill his/her entire lineup with Omen Black rods without having to mortgage their house. The Omen Black series of rods are also great for a beginner who will be expanding their rod collection. As you can see, there is a lot of choice in the sub-$150 price range and there are many rod lineups to choose from. Our team agreed that the 13 Fishing Omen Black was definitely packed with features for its price range and well worth the investment. The 13 Fishing rods are very versatile. We chose to use the 7’1″ Medium model as a spinnerbait rod, while the heavier 7’3″ MH rod did some swimjig duty. The 7’3″ MH Spinning rod was also used for dragging tubes in smallmouth waters as well as drop-shotting. Omen Rods ready for testing on the water… I must say they look sweet when paired with the Concept C reels! All three of the rods tested were rigged up and used throughout the summer. Our team used the rods with flourocarbon, mono and braid lines. The Omen Black series doesn’t have a gloss coat of paint applied on it. In fact, they seem unpainted, almost unfinished, and this makes them rough to the touch. Of course, the lack of clearcoat paint on them makes them lighter, so it’s a tradeoff. 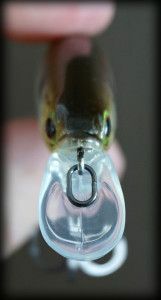 During use, we also found that the Evolve Snag-Less hook keeper made it difficult to unhook jigs from the hook keeper. The barb would often catch on the hook keeper and the jig we were using needed to be twisted to get it loose. During extended use this was somewhat a minor source of frustration. 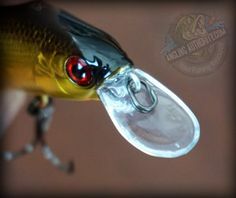 Using the Evolve Snag-Less hook keeper with Texas-rigged soft plastics also requires the angler to un-thread the soft plastic lure partially from the hook in order to use it. Although sometimes frustrating to use, the Evolve Snag-Less hook keeper is a safe design for younger inexperienced anglers. On the positive side, the Evolve Snag-Less hook keeper is a safer design. If you are looking for a rod as a gift for a younger angler this feature may be something you are interested. Young anglers are less likely to hurt themselves as the hook keeper covers the sharp hook when in use preventing snags and injury. During use, the Omen Black rods, proved to be very sensitive while having plenty of backbone for heavy applications; this was particularly true for the spinning version. The Omen Black rods loaded up nicely when setting the hook and were smooth as well, We can’t be sure since 13 Fishing hasn’t disclosed the ratio, but we think the Omen Black is 70/30 split; meaning that is has 70% backbone and 30% tip. The 13 Fishing Omen Black rods are a moderately priced rod that offers anglers the capability to expand their rods and stay within the same series. The Omen Black rods have key features such as Portuguese cork handles and 30 ton Japanese Toray blanks that traditionalist anglers will appreciate. Whether you are looking into this rod as a first time buyer, or an experienced angler looking for a moderately priced option, this rod is seriously worth considering. 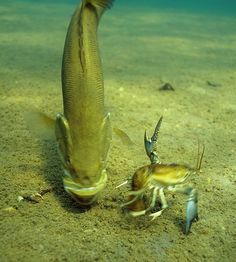 To check out 13 Fishing’s Website – Click Here! To browse models and Buy – Click Here! The 13 Fishing Omen Black rods are a moderately priced rod that offers anglers the capability to expand their rods and stay within the same series. The Omen Black rods have key features such as Portuguese cork handles and 30 ton Japanese Toray blanks that traditionalist anglers will appreciate.